Friends of mine have been experimenting with making their own beauty products recently, such as lip balms etc, and I've been meaning to have a go at something for a while. Then, my cousin, who owns her own gorgeous beauty salon down in Surrey, asked me if I knew how to make scented exfoliating body scrubs... I said I didn't, but I'd like to know how, and saw it as a personal challenge to get researching and experimenting. She wants to launch some exciting hand and foot treatments in the summer, and plans to serve chilled cocktails to her customers while they're being pampered (heaven! )...so my challenge was to run with the summer cocktail theme and see what I could come up with. Off I went to do my research! 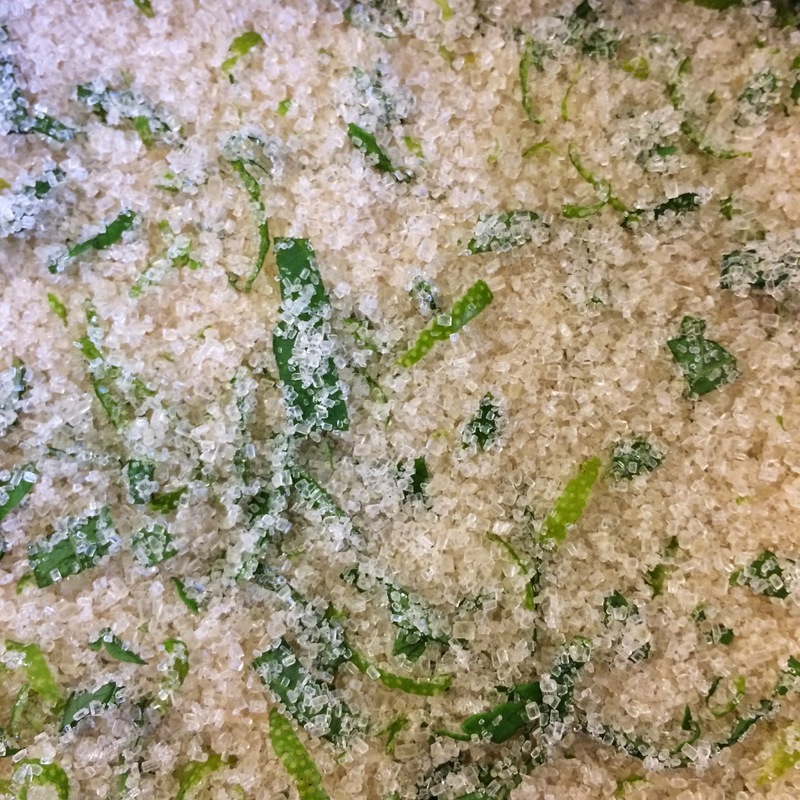 Use a mix of raw/unrefined granulated sugar with melted (and slightly cooled) organic coconut oil as the base for your scrub. 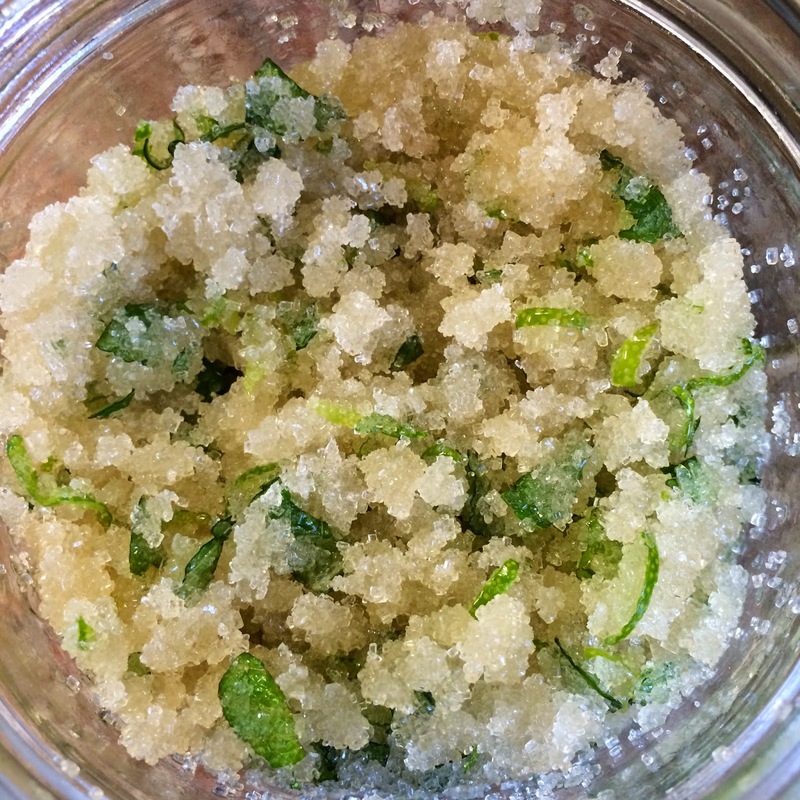 Add finely chopped fruit zest and herbs to scent and add natural oils to your scrub. Add essential oils to pack even more of a punch in terms of smell. 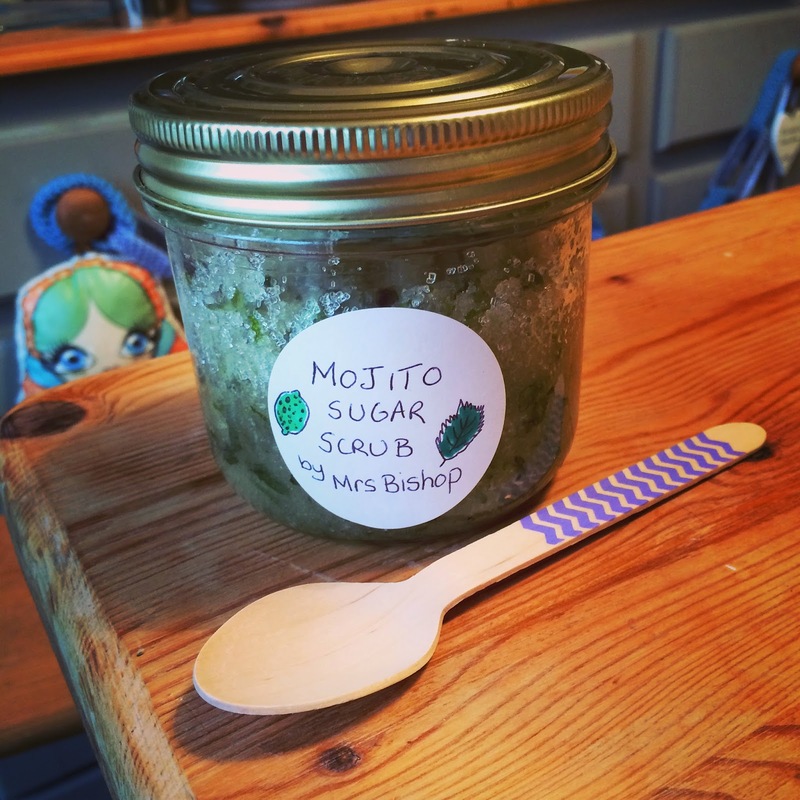 Next, I started to think about which summer cocktail was the epitome of all things sunshine - and of course, I chose The Mojito! 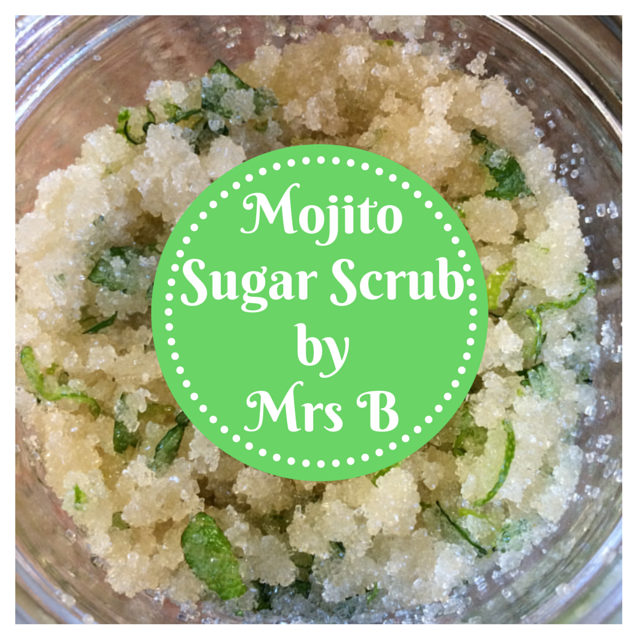 So...what ingredients would I need to include in my exfoliating body scrub to evoke to the scents of a Mojito? 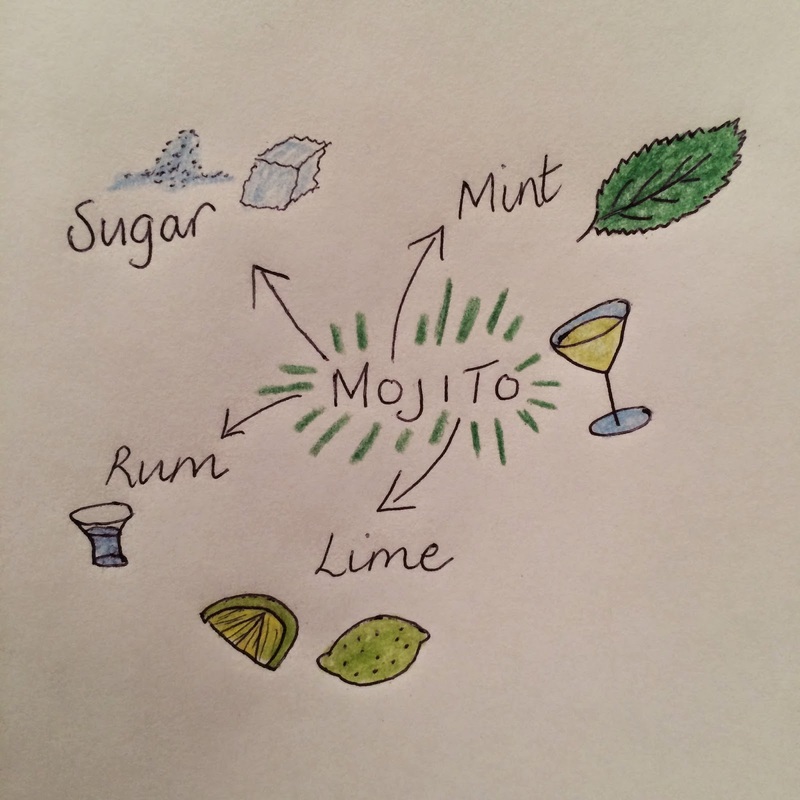 With a heady mix of sugar, mint and lime a Mojito literally smells like a gorgeous Caribbean holiday in glass. So, I'd decided I would definitely be using lime zest, lime essential oil, fresh mint and peppermint essential oil as the cocktail-inspired element of my scrub, but I still felt as if it was missing something....because liquid coconut oil is used as one of the base ingredients in a body scrub, I decided to enhance the smell of coconut already present in my amazing smelling mix by adding some coconut flavouring (which I found in the baking aisle at Waitrose). Coconut for me is such a summery smell reminding me of suntan oil and Pina Coladas - perfect! 1. 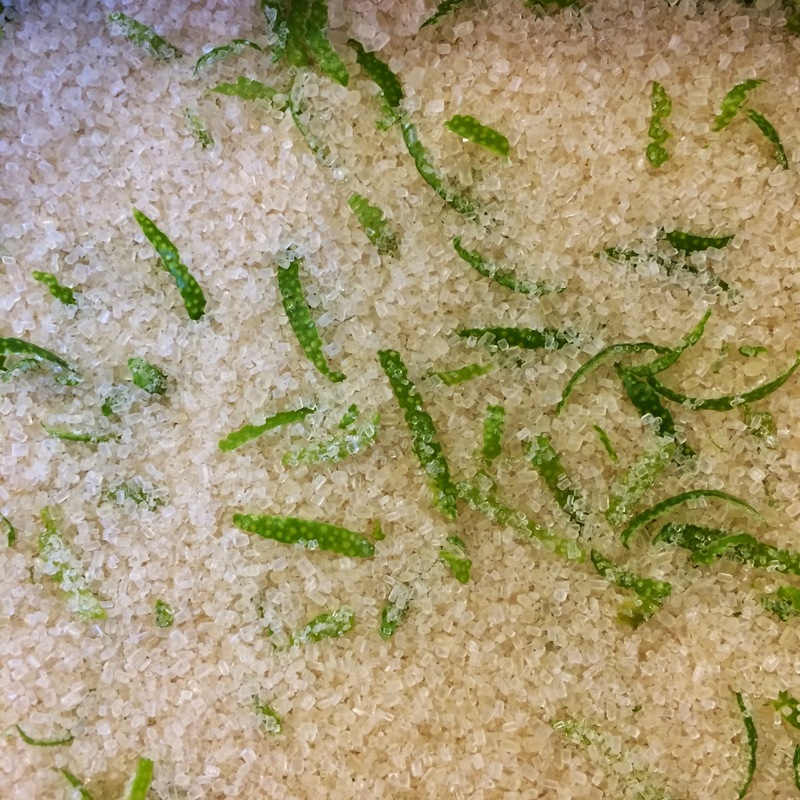 Pour the granulated sugar into a large bowl and add the finely chopped lime zest - mix the sugar and zest together using very clean hands for around 30 seconds (until the oils have started to seep out of the lime zest and you're hit with the most amazing smell). 2. Add the finely chopped mint leaves and mix well, again. 3. Pour in the liquid coconut oil and stir. *I melted mine in the microwave for 30 seconds, then left it for about 5-10 minutes to cool*. 4. 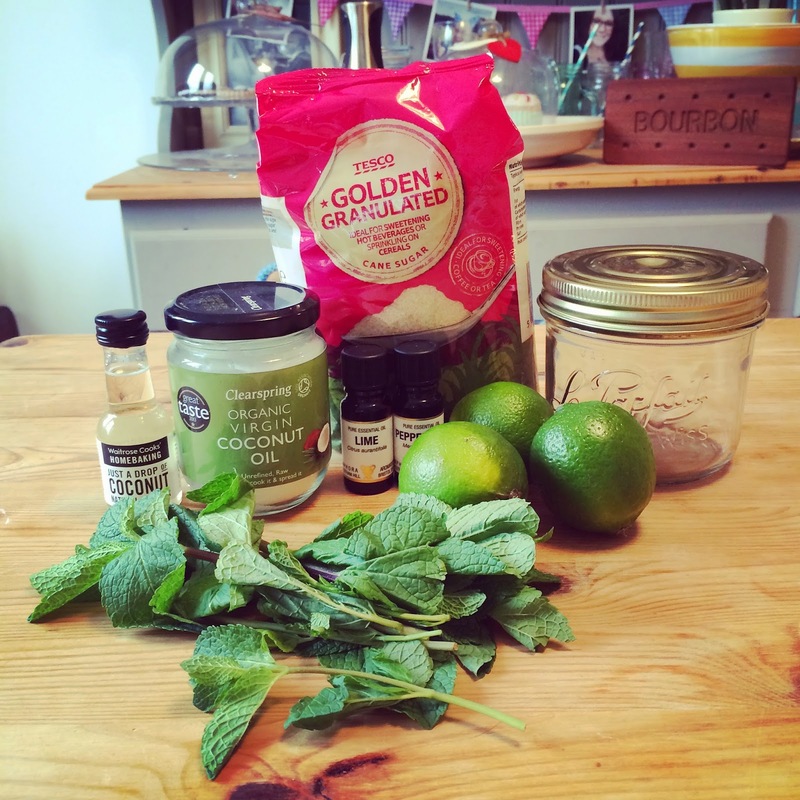 Add in your drops of essential lime and peppermint oils, and then the coconut flavouring, and mix well. 5. Pour into a sterilised airtight jar/container. Rub a teaspoon full of the sugar scrub into your hands/feet/body to exfoliate and moisturise, concentrate on areas with particularly hard/dry skin. Rinse with warm water. Your skin will be left feeling super silky smooth, and will smell like a divine summery afternoon sipping cocktails in the sun! I can't tell you how chuffed I am with the finished result. I've used it on my hands (which are notoriously dry in the winter months) and they not only feel super soft and silky smooth, but also smell absolutely heavenly! I will definitely be making loads more of this gorgeous concoction for myself, and for gifts for friends/family. I really hope that my cousin loves it - who knows, maybe she'll end up using my homemade products in her beauty salon!